Home » Informed Reader » The 2017 KFWH Holiday Newsletter! The 2017 KFWH Holiday Newsletter! We at Kids for World Health Home Base in Larchmont, New York wish all of you a joyful Holiday Season and a peaceful and meaningful New Year! Our focus in 2016-2017 has been on the treatment of Chagas Disease, a potentially fatal parasitic disease carried into mud huts by its vector bug called the Vinchuca. To create awareness of neglected diseases that cause unnecessary deaths to people in impoverished communities across our globe. To learn about our primary focus, Chagas Disease, a very prevalent and potentially fatal disease found in Asia, South America, Central America, and currently in small percentages within the United States. To complete three major equal and sustainable Actions with our partners Dr. Patricia Dorn, Dr. Carlotta Monroy and the villagers in and surrounding Jutiapa, Guatemala for the prevention and treatment of Chagas Disease. To continue our effort to fund renovations of our KFWH Maternity and Pediatric Clinic (# 4/5) at the John Dau Hospital in Duk Payuel, South Sudan that potentially services 66,000 children and mothers who are at high risk of survival from birth- related complications, starvation, and from one of our own targeted neglected diseases, Leishmaniasis. Provided funds for films and materials that educate villagers in Guatemala about treatment for Chagas Disease, and how to prevent the disease through home improvements. Planned and presented the KFWH’s Educational and Fundraising Community Evening:“Understanding Human Partnership: an Evening for Awareness and Connection” that featured John Dau,a lost boy from the Sudanese War and expert keynote panelists from the global health field. Provided funding for chicken wire for villagers to construct animal pens that prevent bug carriers such as pigs and chickens from transmitting the disease into living spaces. Provided food packets to women of child-bearing age who are subject to severe weight loss while receiving treatment for Chagas. 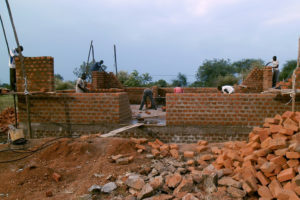 Supplied local materials that included lime, salt and local cement to smooth adobe floors and walls of mud houses where Chagas vectors thrive and bite their victims thousands of times during the night. Provided funds for teaching residents how to organize their houses to help eliminate the vectors. 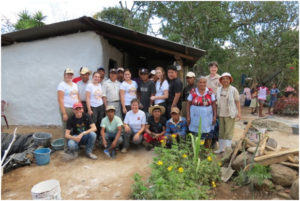 Completed a project of sustainable renovations of 150 houses in one entire village in Jutiapa, Guatemala and began the second to life-saving prevention of Chagas Disease. Provided an educational two-day event with Partner Dr. Patricia Dorn, chair of Biological Sciences at Loyola University, New Orleans, to educate Mamaroneck District classes and chapters about neglected diseases including the KFWH visible work on Chagas Disease in Bolivia and Guatemala. The program also presented a look at village life and roles children play in communities that represented cultural difference and human and cultural commonality. To continue our partnership with Dr. Patricia Dorn and Dr. Carlotta Monroy in Guatemala on the prevention of Chagas Disease through house improvements, nutrition for patients, and village and student education on the prevention of Chagas. 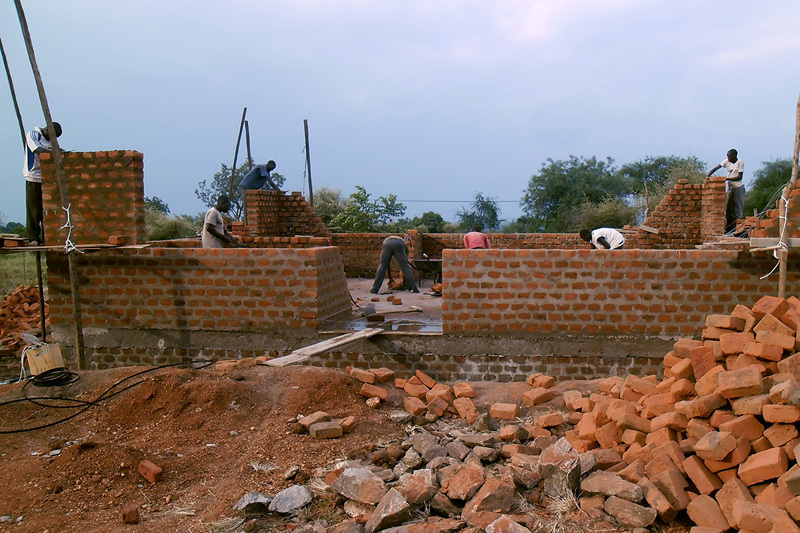 To continue our renovations of the KFWH Pediatric Clinic in South Sudan at the John Bul Dau Hospital. To provide exchange conversations using video technology between our students and doctors and village associates in the field. To expand our membership for interested students who are seeking to learn about Global Health initiatives and who want to participate in the KFWH mission. The Sandpiper Fund, The Scarsdale Congregational Church, The Julianne and David Conrad Family, The David and Linda Fink Family, The Lucy and John Werner Family, The Daniel Scheuer Family, The Emily Cooper Family, The Kobbe and Miles Family, The Elon and Patrice Schwartz Family, The Pamela Bolton Family, The Jane and Jack Rothman Family, as well as all of the individual students and chapters who give their dollars and coins from doing jobs throughout our communities such as snow shoveling, card-making, bake sales, reading marathons and other special projects working for this student grass- roots initiative. KFWH appreciates our mentors and partners: Dr. Patricia Dorn, Loyola University Dept. Chair of Biological Sciences; Dr. Carlotta Monroy, Field doctor in Guatemala; Dr.Jean Jannin, WHO Neglected Diseases Coordinator; Dr. Jeremy Schwartz, Yale University Medical School doctor and staff member; Dr. Pere Simarro, WHO Trypanosomiasis Coordinator; Dr. Tracy Rabin, Yale School of Medicine and all the other persons who choose to spend time with us in advisement and education, as well as those who perform their amazing work in research and in the field. Kids for World Health students and teams invite you to read through our website at www.kidsforworldhealth.org for further information and updated articles about KFWH student work. A Warm and Happy, Healthy New Year from all of us at KFWH, with a special thanks and remembrance of a group of our Founders who continue to make contributions to impoverished villages and who are currently partnering in Spain, South Africa, India, and the United States! We are sincerely grateful for all of our human Global Health connections and send our wishes and hope to villages everywhere! KFWH will be happy to provide tribute cards in honor of those you hold dear, for the holiday season and for other special occasions.